Fujifilm printers enable you to explore a whole range of creative possibilities and produce printed displays and products that sell for more. Fujifilm printers enable you to produce more than standard colour prints on white materials. UV ink technology and special inks like white and clear, open up a whole new range of creative possibilities, which sell for more. Backlit advertising is good but if your customer is looking for great, why not offer a lenticular print which will work harder, with powerful movement, depth or animation. Lenticular prints are proven to attract an audience’s attention span up to five times longer than traditional 2D images, and ultimately provide significantly higher recall rates than conventional prints. What’s more, on top of fantastic visual results, Fujifilm’s flatbed inkjet printers can save your business time and money in setup processes, with no requirement for secondary processes such as vinyl lamination or lens registration, just simply print directly onto the lenticular lens. One piece of equipment, one process. Fujiflm Acuity Advance Select and Onset flatbeds are suitable for the production of lenticular prints as they have a dedicated flatbed vacuum table which enables precise registration of the image on the lenticular lens sheet. 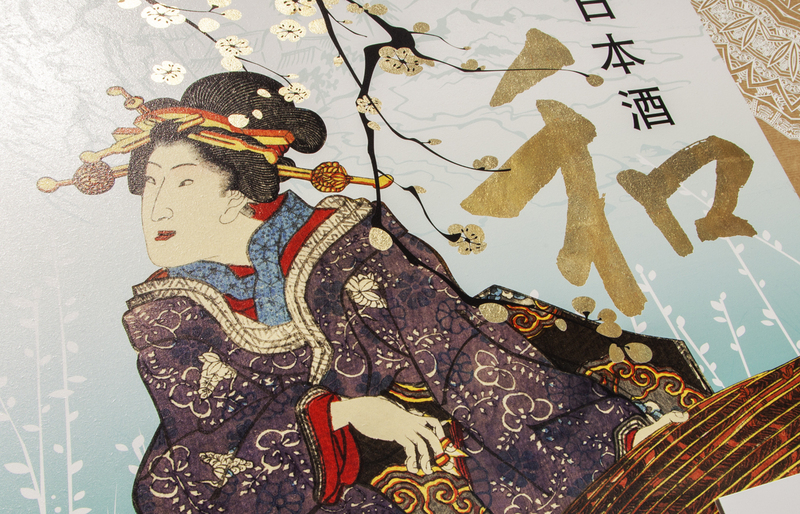 Inkjet technology is now capable of producing high quality print across a range of materials. As the technology advances so have the materials available to print on. Engineered rigid board with a fluted core is a low cost light weight material with excellent structural strength. Fujifilm flatbed printers can print direct to the board (Onset can handle materials up to 50mm thick), so no mounting is required. PDF designs can be sent straight to the digital inkjet press for printing, before being finished on a digital cutting table. Combining digital printing with cutting tables helps to fully expand the creative possibilities available with a highly durable material. See the Onset handling engineered rigid board to produce cost-effective printed furniture. Fujifilm UV inkjet technology enables direct to substrate printing to a wide range of materials, and no requirement for lamination. 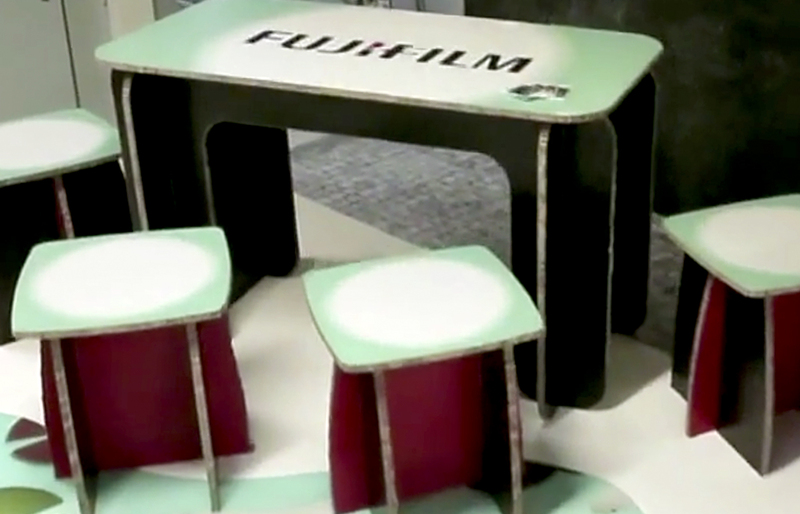 Fujifilm’s dedicated flatbed inkjet printers can print edge-to-edge on sheet materials of various thickness. This technology can be utilised to deliver stunning bespoke interior decoration items. 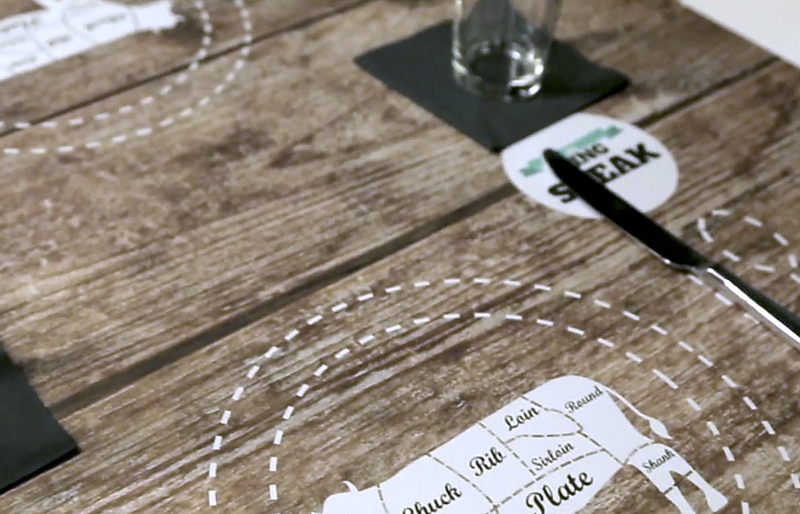 See the Onset flatbed in action, printing bespoke restaurant table tops.